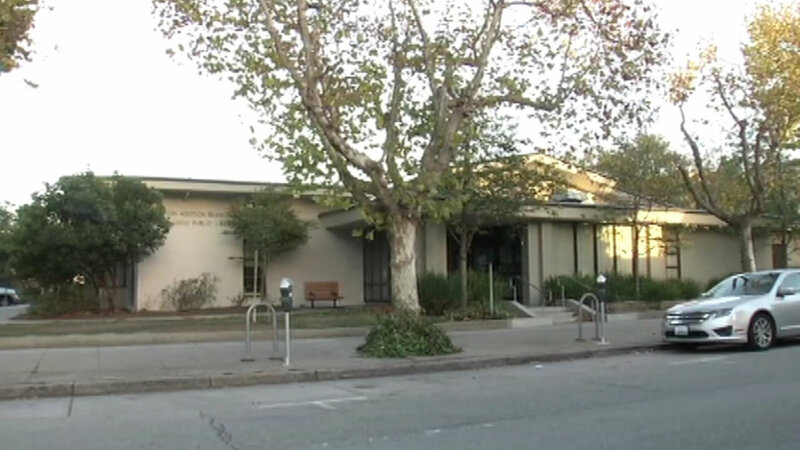 SAN FRANCISCO -- Police are asking for the public's help in identifying a suspect who allegedly assaulted a male juvenile inside a San Francisco Public Library bathroom Sunday, police announced today. Around 1:45 p.m., the victim entered the restroom at the library's Western Addition branch, located at 1550 Scott St., according to police. Inside the restroom, the suspect approached the juvenile and assaulted him, police said. The boy left the bathroom and told his mother, who was waiting outside, according to police. The victim's mother called out for help, but the suspect fled the library on foot, running south on Scott Street, police said. Police described the suspect as a white man, 28 to 32 years old, 5 feet 8 inches tall and weighing about 160 pounds. The suspect was wearing a gray sweatshirt and gray jean shorts and had a clean-shaven face, according to police. Anyone with information about the suspect is asked to contact the police department's Special Victim's Unit at (415) 558-5500. Callers who wish to remain anonymous can call the Anonymous Tip Line at (415) 575-4444.